In addition to evening prayers, when we we tuck the kids into bed at night we bless the people in our lives and ask for certain people to be watched over for certain reasons. 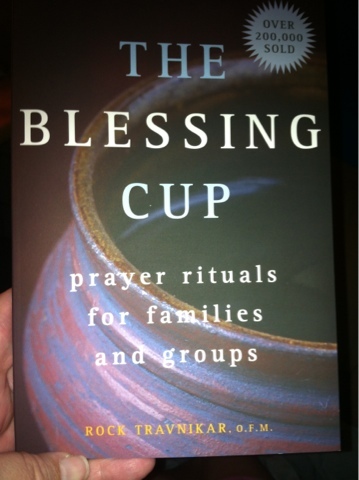 I like the idea of blessings, so I was interested in reading "The Blessing Cup: prayer rituals for families and groups" by Rock Travnikar. 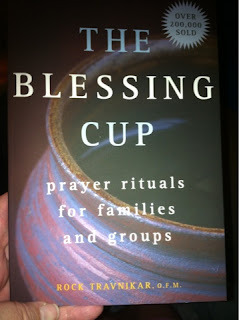 The rest of the book has a variety of prayer rituals for pretty much any occasion. There are sections for new babies, holy days and even the loss of a pet. If it could happen in your life, chances are there is a blessing in this book that would fit. I liked how the rituals were set up. There are prayers for a leader to recite, opportunties for everyone to participate, and call and response sections. 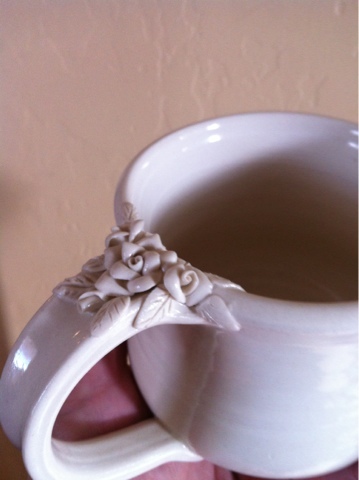 Each one was tied to sharing the blessing cup among everyone. We are going to incorporate some of these rituals into our daily life. I know the kids will appreciate them, and we could always use a little more blessing!